The Next Question asks provocative questions about new, emerging and disruptive technologies, their potential impacts on our lives and their broader impacts on the world around us. This series focuses on Magnetic Levitation and automated transportation. 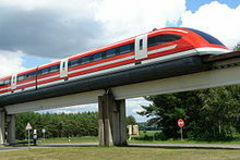 You may have heard of maglev (or “magnetic levitation”) trains, which float above their rails and are propelled along by electromagnets. Perhaps you dismissed them as cool but impractical. Would you believe that they are actually more efficient than regular trains? This is because they don’t have to overcome the friction of their own wheels and track to move, only the resistance and drag of the air. 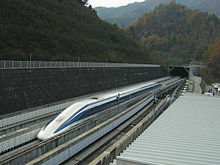 Even when levitating tons of freight, a maglev train uses less energy than a conventional train to cross the same distance, and can do so at a higher speed as well - they can easily travel af 300 miles an hour or more. They have higher setup costs than regular steel rail trains, but lower maintenance - a maglev train doesn’t constantly degrade its own track. One train line can replace a six-lane freeway over hundreds of miles.